As Natural Fertility Info.com grows, we are finding that more female teens are turning to us for information regarding their reproductive health. Most want to know if it is okay to take herbs for fertility issues they have concerns with, which ones are best, and what dosage is good for a teen. Fertility issues often begin in the teen years. Thousands of teen girls have irregular menstrual cycles. Today 1 in 10 women have PCOS, with PCOS often originating in the teen years. Teen girls may also experience ovarian cysts, uterine fibroids, sexually transmitted disease, yeast infection, and so on. So what herbs are safe for use for teenagers? What is a proper dosage for a teenager? Is it safe for teens to use herbs for fertility? First off, I want to express my joy that more teens are searching for natural ways to manage their health. I became interested in herbs in my teens. I also experienced fertility issues as a teen. It wasn’t until I took natural healing and diet choices seriously that I saw real changes in my fertility health. I had irregular menstrual cycles my entire teen years, from the time I began menstruating. Later, in my late teens, I began eating better, became interested in herbs and changed my lifestyle, only then did my cycles regulate. I did not take specific herbs for fertility, I just made my life healthier, especially my diet and activity level. This guide could be for parents or for teens themselves. The tips below will help guide you to making smart choices prior to beginning any natural remedies, therapies or supplements. 1. Get to know, trust, and love your body! Learn about how both the female and male reproductive systems function. This will help you to understand what is going on daily and monthly in your body. Knowledge is power! Get to know all of your female parts, be able to identify them properly. Don’t be afraid of your own body. Learn to listen to your body. If you feel something may not be quite right with your menstrual cycle, or if you are feeling any sort of pain in that area, talk to someone about it. Love your body the way it is, for all it does for you! 2. Clear communication is key. Do you think something may be wrong regarding your fertility? Perhaps you have questions regarding your body or menstrual cycle? What is normal? If you have not yet talked to your parents, or an adult that is close to you, or if you are a parent, it is important to have good communication with your teen. Find someone to help support you through the search for answers in regard to your fertility health. I was not comfortable talking with my parents about fertility-related issues, including sexual activity, but I had other adults that were, they helped guide me, gave me confidence and a safe space to talk openly. There should be no shame in desiring to find answers about your own body. 3. Have the courage to ask for help. Once you have someone to talk to, be open, have confidence to ask questions. How else will you get the answers you need if you suffer in silence? Let the person you wish to discuss the issue/s with know what the problem is. If you are sexually active, be sure to be open and honest with them about that part of your life as well. Once you are sexually active, you have more responsibility in taking care of and protecting your fertility. Be sure you discuss birth control methods and STDs. 4. Find a healthcare practitioner that you are comfortable with and fits your needs. Have an adult help you! If you are interested in natural, holistic healing methods, you will need to search for a naturopathic doctor, acupuncturist trained in Chinese Medicine or local herbalist. You may first need to see an ObGyn (Obstetrician/Gynecologist) to get regular pap smears/check-ups, and to diagnose fertility problems. Sometimes your family doctor may be helpful in diagnosing a fertility problem as well. Why work with a practitioner rather than follow your programs? In the teen years, the body is experiencing rapid hormonal changes, body growth and development. This time of great change is different for each person. Every person develops at a different rate. Each year may be vastly different from the last. We suggest teens interested in herbal remedies work with a healthcare practitioner, so that the suggested herbs and dosage, as well as supplements and therapies are just right based on their development stage, weight, height and specific needs. Can my parents purchase your programs for me? Again, we feel it is best for you to find a practitioner in your area, someone to work one-on-one with. You could show them the site and discuss our guides and herbs with your parents and practitioner. If they approve and you can come up with a plan with them and you are under their care, some of our programs/products may be an option. 5. Diet, Exercise, & Sleep changes make a big difference! Teens often have poor dietary and sleep habits. If you are not in sports, you may be sedentary much of the time, balancing sitting in class with video games; you get the idea! Talk to your parents about helping you find a high-quality whole food multivitamin to support your developing body. We like MegaFood Alpha Teen because it is 100% whole food. A whole food multivitamin will help you to get necessary nutrients each day. Inadequate nutrition is one of the leading causes of amenorrhea (absent period). Be sure you are active. Be sure you are getting in enjoyable activities that up your heart rate and promote sweating. 30 minutes a day, 5 times a week is best. Teens need more sleep than adults. Be sure you are getting at least 8 hours of restful sleep a night. Lack of sleep is stressful for the body, which may contribute to menstrual cycle irregularities. 6. Educate yourself on pregnancy and sexually transmitted disease (STDs). Do you know how they can impact your fertility and health? Once you become sexually active, it is vital to know the risk of possible teen pregnancy and/or sexually transmitted disease. Pregnancy is a huge responsibility, so is preventing unwanted pregnancy. They both impact your life greatly. Get to know your options. I urge all teen ladies to learn how each kind of birth control methods works, how it may impact your fertility, and what you can do to support healthy fertility naturally. It is important to protect yourself from unwanted pregnancy as well. Birth control choices may be difficult to navigate, that is why it is important to have a trusted adult to help you. Did you know that some STDs can lead to infertility? Be sure you are using condoms in addition to other birth control methods. Condoms help prevent STDs. For example, the STD chlamydia, if left untreated, may lead to blocked fallopian tubes. If your fallopian tubes are blocked, the egg cannot travel to the uterus for implantation. You may not be able to get pregnant. Blocked fallopian tubes increase the risk of ectopic pregnancy if you do get pregnant. 7. Ladies- learn about natural menstrual care products. Together we can change the future of fertility! People are experiencing fertility issues at an alarming rate. There is no denying that our world is facing more chemical pollution than at any other time on earth. These chemicals directly affect fertility. 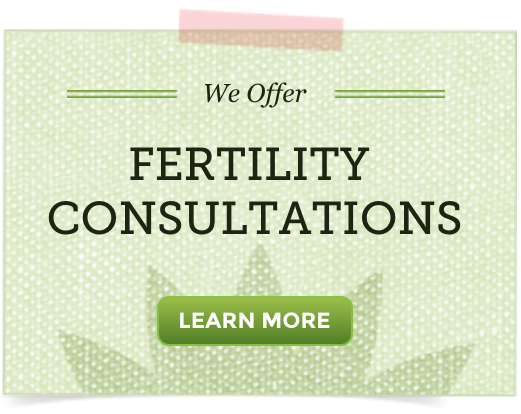 Educate yourself now about natural fertility options. My hope for generations to come is that they can find the confidence in their bodies to know when something seems wrong or off, and then be able to ask for help. Open, honest communication is so important to having a healthy connection to your fertility and all of life! If you are a parent that has read this, consider your connection to your teen and how you can best support their long-term fertility. It matters!